Camp Navarro, ALO, and Hot Buttered Rum are excited to present CAMP DEEP END 4, September 20-23, 2019. Tickets go on sale March 15th. UPDATE: CAMP DEEP END 4 is SOLD OUT. You can be put on our waitlist by going to the Tickets page and scroll to bottom for waitlist or join our Facebook group and folks sell tickets before the event. Jump into the Deep End and join us for an immersion of nature, fun, community, camp activities, stellar music and good times! The past three years have been beyond amazing and another magical weekend in the woods awaits!! This event is a hand-crafted Family Camp for fun, kind, nature-appreciating folks who want to co-create a magical experience. This is an all ages event open to individuals and families alike. Camp Navarro and the bands are committed to creating the finest event on planet Earth and Camp Deep End is a 'Musical Family' Camp' like no other. 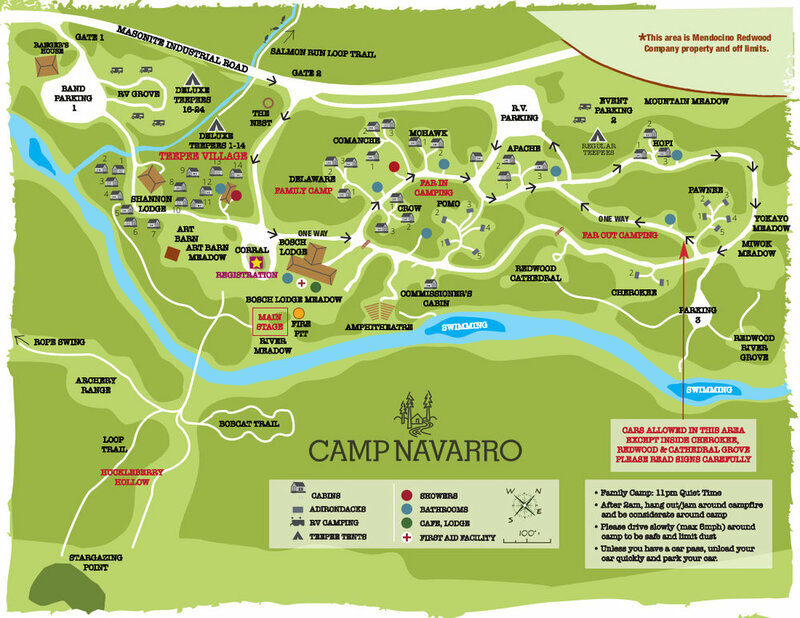 We gather at Camp Navarro in the Anderson Valley of Mendocino County among 200 acres of Redwoods to relax and play by day and celebrate with campfires, stellar world class music, laughter and good times by night. The term ‘Deepend’ is a nod to Boontling, the local secret language still spoken by a few old timers - and The Deep End is what they call the magical Navarro/west end of the Valley. Sprinkle in kids and adult activities by day and night along with great music and some of the best camping and people imaginable and you have an Indian Summer weekend without equal.